A few of our team had a great time taking Lynchpin to the Festival of Marketing last week. As I am sure you can imagine, the Festival of Marketing is THE date in the calendar for anyone in the marketing industry. It not only brings people together but holds over 200 talks from market leaders and industry thinkers. The massive take away from the event this year is that understanding your data is the way to future-proof the company. Due to GDPR and an ever-demanding consumer, the days of mailshots and one fits all models are things of the past. The world has changed, technology has changed, and as a result, we as consumers know what we want and want it with no hassle. Personalisation was obviously a big topic. Companies are now looking to fully understand the customer journey from start to finish, across all channels, both online and offline, in order to tailor their communications at a one-to-one level rather than one-to-many. One of the challenges is integrating the various data silos across the company, from transactional systems, CRM systems, online behaviour systems. Lynchpin’s standpoint is that while you should ultimately strive for the 360-degree customer view, many quick wins and insights can be achieved now with the data currently available even if it only spans a reduced view of the whole customer journey. Marketing teams will become hubs of data and this is new territory for many. However, as a marketer, I see this as an extremely important step. A time of learning for us perhaps, but definitely a move in the right direction. It is the disruption that marketers have needed to show who we are and why a CMO is as important as the rest of the board. We now have the chance to provide extremely successful campaigns, whilst measuring success. Whether Alexa puts your heating down or Siri finds you a hotel in Tokyo, the world is now data driven. The grey days have gone, and digital disruption has actually made things very black and white – we must understand our data. Trust me, I understand that all this seems daunting. Marketers do not have the time to sort through data. I get it. That’s why I know your fears/concerns but see the solution – Lynchpin. Lynchpin are here to do that part. We have teams of data scientists and analysts who love data and helping our clients, which, for a marketer, is understanding like never before, our consumer behaviour and trends. Send us an email. Give us a call. 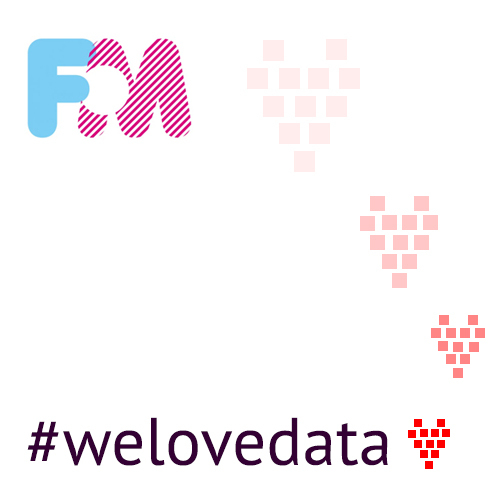 We are very nice people (if we do say so ourselves) who love problem solving and even more so, love data. Nothing like a Brand Placement to brighten your event. 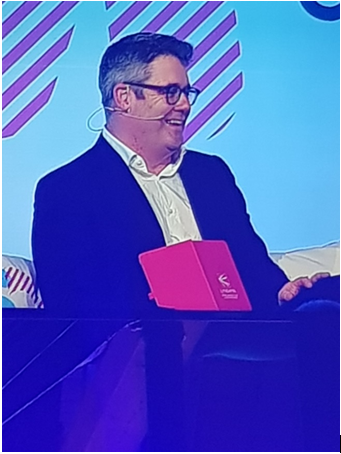 Mark Ritson using Lynchpin’s notebook to hold his questions for Facebook’s VP of Northern Europe at the event’s closing panel! Written by Laura Carvalho, Marketing Executive & Nick Mottershead, Data Scientist at Lynchpin Analytics.